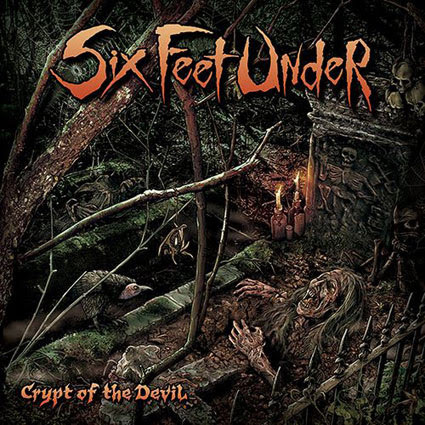 SIX FEET UNDER nuevo disco "Crypt Of The Devil"
SIX FEET UNDER lanzarán su undécimo disco de estudio el 5 de mayo a través de Metal Blade Records. Bajo el título "Crypt Of The Devil". Death metal veterans SIX FEET UNDER will release their eleventh studio recording on May 5 via Metal Blade Records. Titled "Crypt Of The Devil", the ten-track slab of audio violence was composed by vocalist Chris Barnes and CANNABIS CORPSE bassist/vocalist Phil "Landphil" Hall. While on tour with CANNABIS CORPSE in 2013, Barnes and Hall met and kept in touch. Barnes would later lend his vocals to a track on CANNABIS CORPSE's "From Wisdom To Baked". 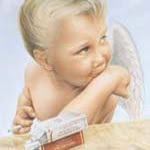 That same year, Hall and Barnes joined forces to pen brand new SIX FEET UNDER tracks. 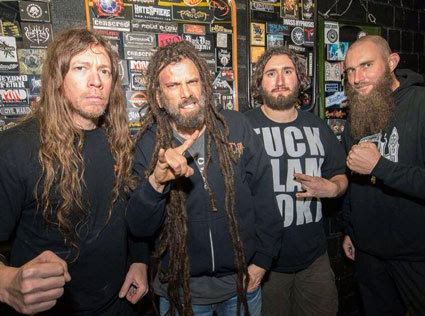 Barnes lauds Hall's take on the SIX FEET UNDER style of death metal and stated that this material was, "where my wheelhouse is — it's where I thrive vocally and lyrically." SIX FEET UNDER nuevo tema "Stab"
SIX FEET UNDER nuevo tema "Gruesome"
SIX FEET UNDER: nuevo disco "Torment"
Six Feet Under lanzarán su duodécimo álbum de estudio, "Torment", el 24 de febrero a través de Metal Blade. On February 24th, Six Feet Under returns with their 12th studio album, Torment, and a new leap in intensity. There’s plenty of classic Six Feet Under groove to be had on Torment, but fans will note a much more aggressive approach, and even more blast beats throughout. This is a cantankerous Six Feet Under with absolutely nothing to prove. This is Six Feet Under at their most deadly. SIX FEET UNDER: nuevo tema "The Separation of Flesh from Bone"